Become a sponsor of the Union Scholarships! The Union Scholarship Celebration is a fun and dynamic event to help raise money for the Union Scholarship Fund and celebrate student leaders, their accomplishments, and the mission of the A. Ray Olpin University Union. Through your sponsorship, you will be supporting exceptional student leaders for years to come and while you’re at it, you’ll have a wonderful time celebrating with University of Utah students, staff, faculty, and community members who have joined in support of our students. Check out the Union Scholarship Celebration page for more event information. Started in 2011, the Union Scholarship Fund had provided money for Union Scholarships. These scholarships promote student leadership and community engagement within our campus community, one of the main missions of the A. Ray Olpin University Union. Because of support from donors like you, we are excited to announce that the Union will be providing $150,000 in scholarships at this year’s Union Scholarship Celebration! Sixteen reserved seats (two tables for eight) at the Union Scholarship Celebration. Sixteen tickets to the VIP reception for honored guests. Your organization will be recognized in the sponsor video prior to the program. Logo or photo, website link, and 100 word bio on Union Sponsor web page until the 2020 Union Scholarship Celebration. Logo or photo, website link, and 100 word bio on the Union’s social media accounts. We will place a full page advertisement in all 7,500 copies of Your Campus Life, a campus guidebook that is distributed to students at the start of every fall semester. 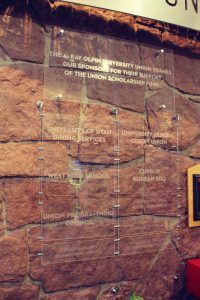 Your organization’s name will be installed on a sponsor wall in the Union lobby until the 2020 Union Scholarship Celebration. Your logo will be placed on a custom Snapchat filter. The filter will be available for guests to use the night of the event when sharing media using Snapchat. 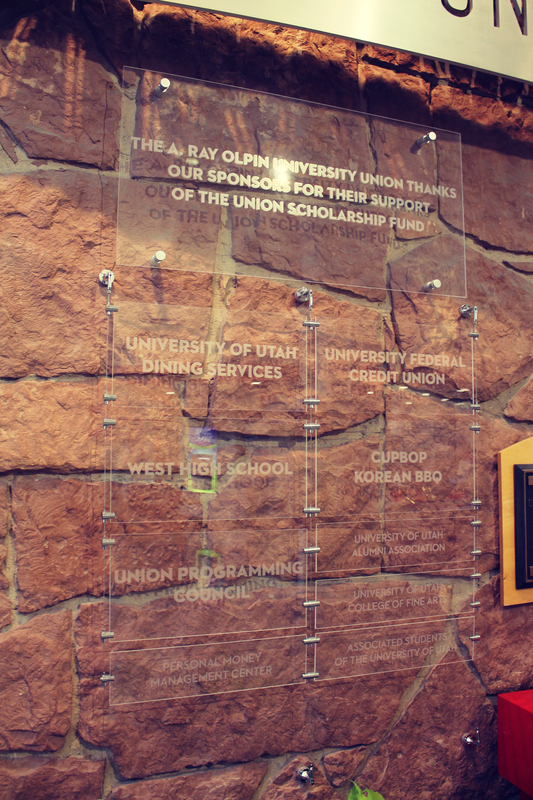 Using our spotlights, your logo will be displayed with a GOBO light during the Union Scholarship Celebration. Your logo will be placed on the backdrop for the photobooth at the event. Photos from the event will be shared on the Union’s website and social media accounts. Your organization will sponsor a custom Scholarship Celebration experience. We can work with you to suit your needs, requests will be accepted, within reason. Potential sponsorship examples: front entrance and check-in, VIP reception, silent auction, etc. Schedule a party for your organization, their friends, and family! 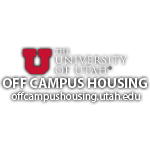 We will schedule a four-hour house rental for 80 people at the Union’s Crimson Commons. The Crimson Commons is the Union’s recreation center with ten bowling lanes, eight billiards tables, a 70” TV with lounge space, and a new VR gaming system. call 801-585-0630 or email bdalley@union.utah.edu. Link will take you to the Union’s secure online store. Eight reserved seats (one tables for eight) at the Union Scholarship Celebration. Eight tickets to the VIP reception for honored guests. Four tickets to the VIP reception for honored guests. Two tickets to the VIP reception for honored guests.